It’s no longer enough to have just a website. Your website is the central component of a complex network of information about your business that projects your brand and expertise to those searching for the products and solutions that you offer. Will you find your next client ... or will they find you? Marketing in the new media world is complicated. It requires you to understand marketing concepts and strategies, digital channels and online relationship building. It forces you to figure out how which platforms will help your business stand out in a very crowded marketplace. And it encourages you to try new things, get out of your comfort zone and make an impact. And you need to do this while you are trying to run your business. Most small businesses don’t have the expertise to create a powerful web presence for their business. Most struggle with the lack of resources to be consistent executing the day to day marketing actions needed to achieve your goals. 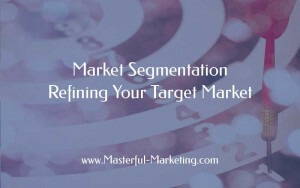 This is where Masterful Marketing can help! Our mission is to help small businesses like yours navigate the complex maze of online marketing. 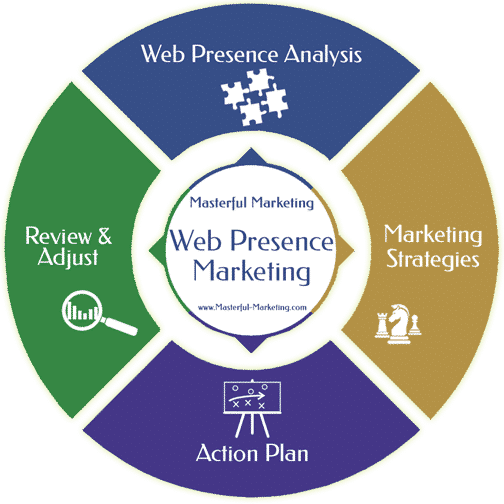 Masterful Marketing services are designed specifically for the small service-based business owner and entrepreneur who wants to invest in the success of their business but doesn’t have the time or resources to go it alone. Our services offerings include our Web Presence Analysis, a fixed-fee audit of your online visibility, and 3 marketing services options ranging from coaching to full agency services. Regardless of which marketing services options you choose, we help you select and execute the right strategies to help make your business successful. Outsource your marketing to a team that can implement the right marketing activities to grow your business and achieve your goals. Combine coaching and agency services to help you understand how to market your business. Then choose to do it yourself or outsource. Work with a marketing coach who can help you cut through the noise and select the right marketing activities for your business. Many marketing agencies implement the same set of marketing strategies and activities for all of their clients regardless of their industry. We take the time to learn about your industry so that we can customize a marketing strategy specifically for your business. 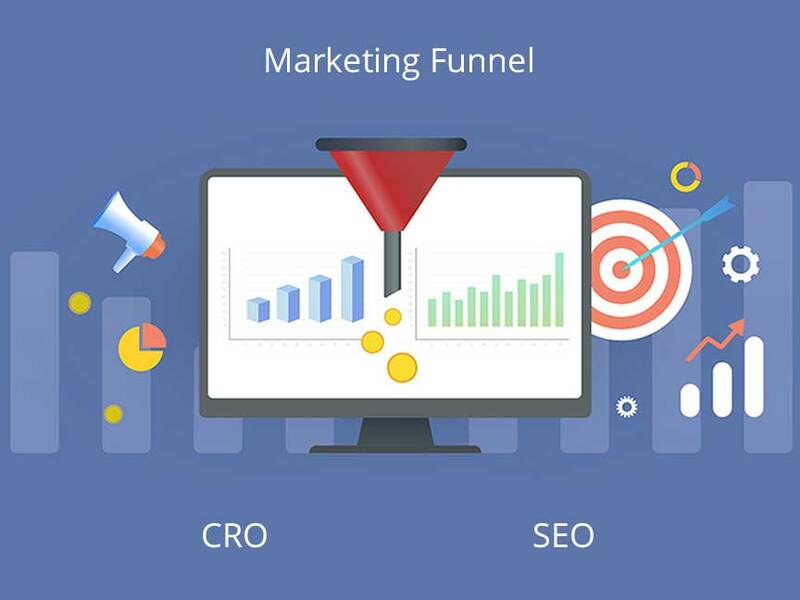 Our marketing services will incorporate the right strategies for your business to increase your visibility, drive more qualified inbound leads and turn your business into the go-to expert in your field. 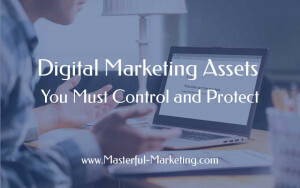 So if you want your marketing activities to help your business grow, and you want to do this without being held hostage or overcharged by someone who calls themselves a “guru”, you've found the right marketing company to help you. 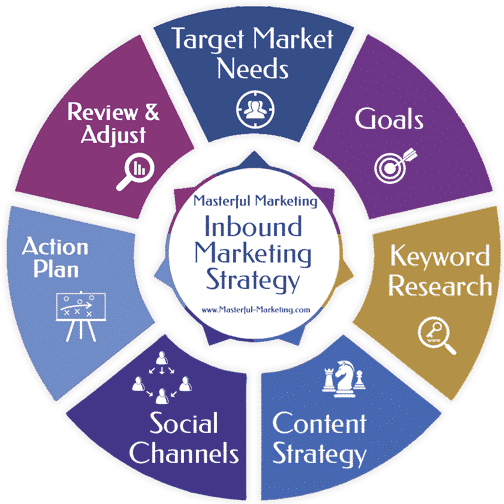 As your trusted marketing agency, let us help you leverage inbound marketing to build brand visibility within your target market. With the immense opportunity available for small businesses to compete online, we are passionate about helping you market your business and take advantage of this powerful online channel. 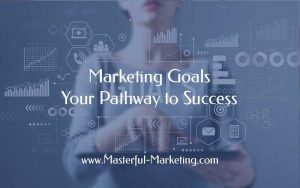 Get started on the right path now by signing up for our Masterful Marketing Insights blog and receive your free marketing campaign action plan template and editorial calendar to help you plan and execute a successful marketing campaign. Make your business visible and easily found by those searching for your products and services. 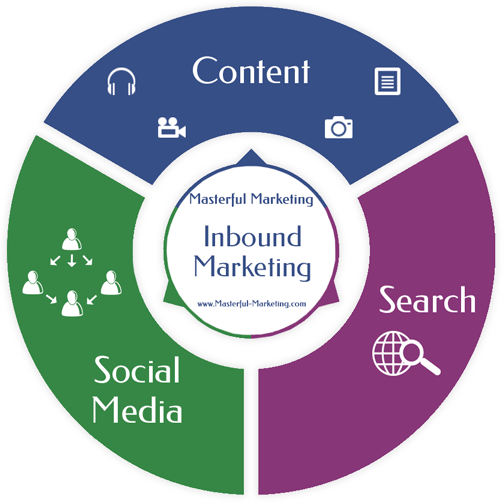 Learn how inbound marketing helps your small business gain visibility and more leads. Create an effective but practical marketing plan to help your business get found.